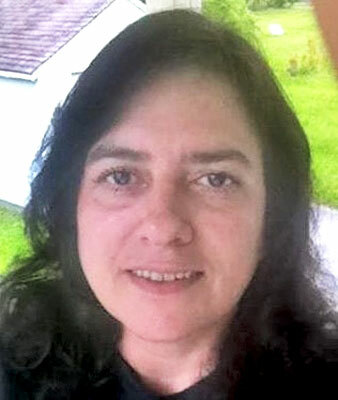 STRUTHERS  A memorial service will be held on Friday, June 15, 2018, at 4:30 p.m. at the Clemente Funeral Home in Struthers for Cynthia Cindy Bryer Heck, 53, who passed away quietly at her home on Monday, June 11, 2018. She was born on Oct. 27, 1964, in Lowellville, to Edward and Angela Bryer. She married William Willie Heck on Oct. 9, 1987, and was mother to two children, Scott William Heck and Veronica Lynn Heck. She is survived by her husband of 30 years and her children. Also surviving are three sisters, Kathleen Kitty (Richard Dicky) Olson, Pam Talaganis, and Debra (Mark) Carney and one brother, Edward (Marie) Bryer, all residents of Lowellville. She also leaves four sisters-in-law, Eva Sullivan of Poland, Barb (Terry) Masluk of Austintown, Marjorie (Carl) Rossler of McDonald, and Beverly (John) Lorant of Beach City. Cindy was preceded in death by both her parents. Cindy was an early resident of Lowellville and moved to Struthers shortly after her marriage. She graduated from Lowellville High School in 1983 with a Certificate in Stenography from MCCTC. Her love for people was evident in her long career as a waitress where she always served with a smile and entertained many repeat customers. Cindys first love was always her family. This was followed by her love for pool. She participated in many APA pool leagues where her adept skills helped lead several of her scotch doubles teams to the championships in Las Vegas. This is a hobby she shared with her husband for many years. She was a talented and creative baker who happily shared her craft with both friends and family alike. This was just another way of showing her love for the people around her. Friends may call on Friday at the funeral home two hours before the service from 2:30 to 4:30 p.m. Following the services a dinner will be held at The Riverview, 213 Water St., in Lowellville, in remembrance of her life.